Scientists at the University of Liverpool have taken another step forward in understanding the bacteria that are causing a devastating Salmonella epidemic currently killing around 400,000 people each year in sub-Saharan Africa. Published in the journal PLOS Biology and representing five years of work, researchers at the Institute of Integrative Biology have completed one of the largest bacterial comparative gene expression studies to date. Invasive nontyphoidal Salmonellosis (iNTS) occurs when Salmonella bacteria, which normally cause gastrointestinal illness, enter the bloodstream and spread through the human body. The African iNTS epidemic is caused by a variant of Salmonella Typhimurium (ST313) that is resistant to antibiotics and generally affects individuals with immune systems weakened by malaria or HIV. "Although the genomes of African and global S. Typhimurium are 95% identical, the remaining 5% is very different," explains study author Dr. Rocío Canals Alvarez. "Most of these differences do not cause changes in gene expression, but we need to identify the genetic alterations that affect gene expression and could influence the outcome of a bacterial infection in humans." To discover these key genetic differences, the researchers carried out a large-scale comparative transcriptomic approach between the lethal African Salmonella and the common 'global' version that causes gastroenteritis. The researchers grew each of the Salmonella strains in 16 different ways that represented different stages of the human infection process. They also isolated Salmonella from mouse macrophages—immune cells used by the bacteria to hijack the host during infection. By investigating the transcriptome of African and global S. Typhimurium under these different conditions, they discovered that 677 genes and small RNAs were expressed differently between the two strains. A parallel proteomic approach identified the gene expression differences that led to alterations at the protein level. Two proof-of-principle experiments revealed the genetic basis of an African Salmonella metabolic defect and discovered a novel bacterial plasmid maintenance system. To allow researchers all around the world to work with the new information, the new data are presented in a user-friendly online tool called the SalComD23580 gene expression compendium. 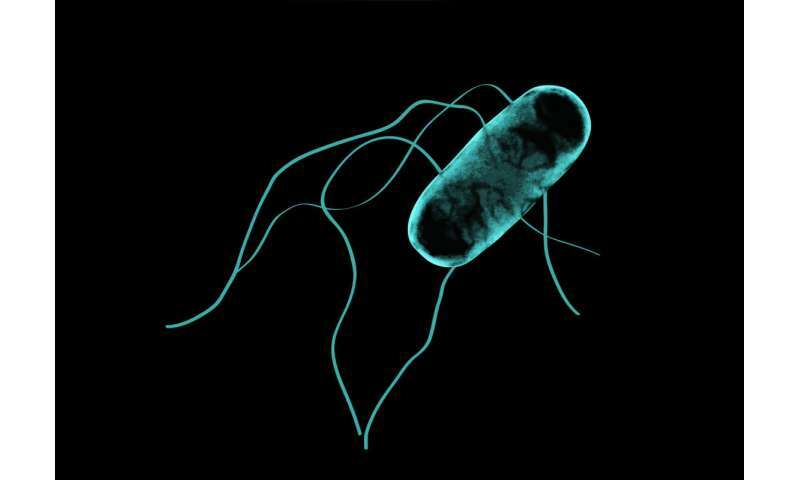 "This study takes the power of transcriptomics to a new level for a bacterium. Our 'functional transcriptomic' approach is relevant to a broad audience and can be applied to many other organisms. The analytical pipeline and the community data resource aspects are generic and could inspire others to use a similar approach to answer their research questions," adds Professor Jay Hinton, who led the study.